The Italian Court has now granted permit for the commencement of the unloading / discharge of the lower garages of NORMAN ATLANTIC, i.e. of garages No. 1 & No. 2. According to the plans of ANEK, garage No. 1 is to be unloaded first. Given that arrangements need to take place for the safe access in the lower garages, which the Coast Guard will attend, the discharge operations are not expected to commence before the end of next week. 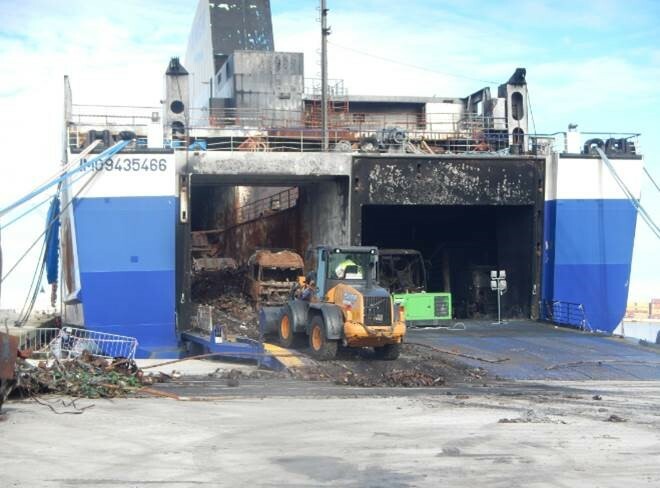 The vehicles must be treated as total losses, since they have been exposed to high temperatures and smoke during the maritime incident and to extremely damaging conditions during their long stay inside the ship. The condition of cargoes is still to be examined and determined.